Isn’t this wreath just too cool? I absolutely love that my 3 kids made this. It is such a quick and easy (and quiet) craft for them to make. You may already have all the materials in your home and if you don’t, you won’t need much. It is a very cheap craft. Click on the link HERE to read the entire article about how to make this wreath. Pictures and step by step instructions are included. 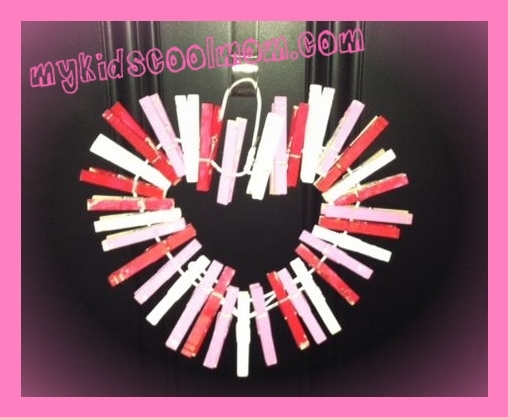 This entry was posted in Crafts, Valentine's Day. Bookmark the permalink.